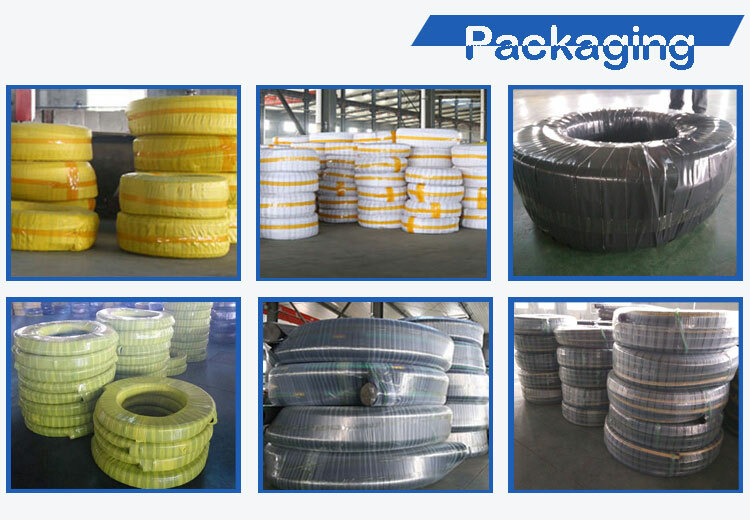 Concrete Placement Hose 85BAR / 1230PSI-Material handling hose--Hebei Orient Rubber & Plastic Co., Ltd.
Cover: Black, smooth cloth impression, NR/SBR compound abrasion cover, resistant to abrasion, cutting, gouging and weather. 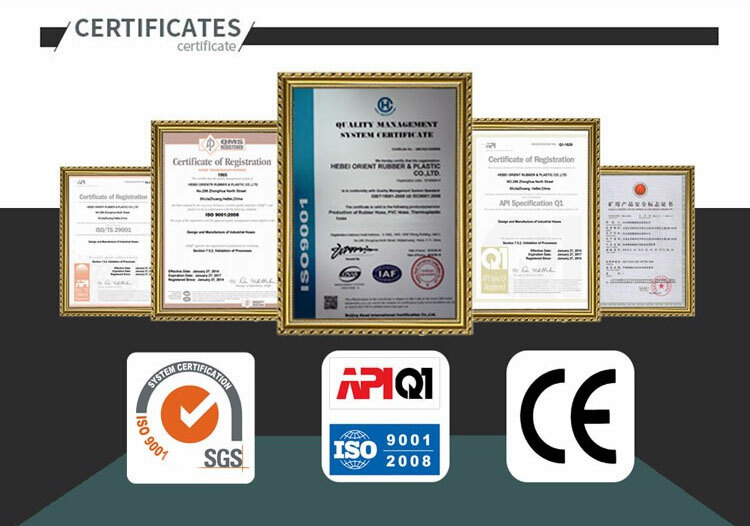 High pressure concrete placement application. 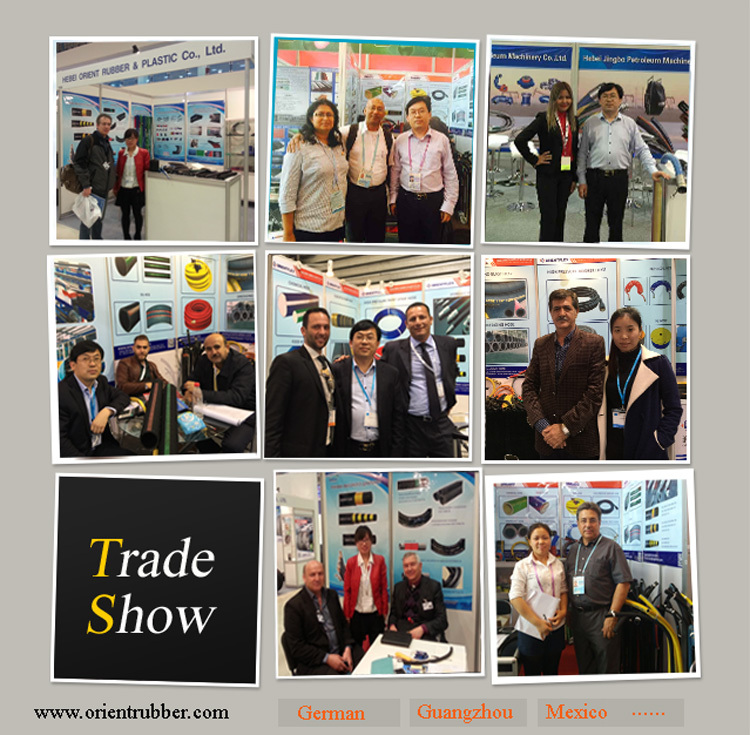 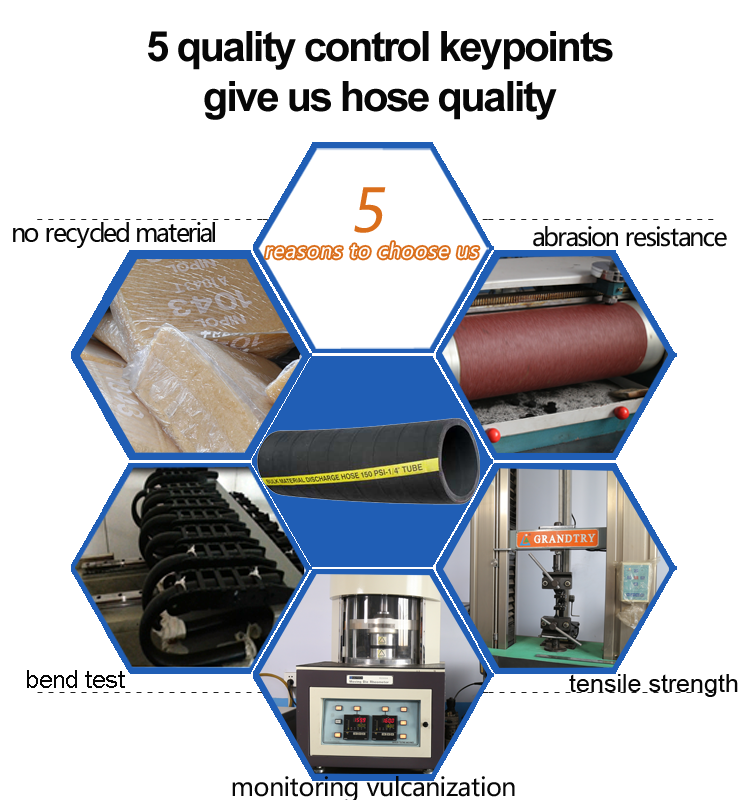 Production: Advanced technology and equipment to make the best quality rubber concrete pump hose. 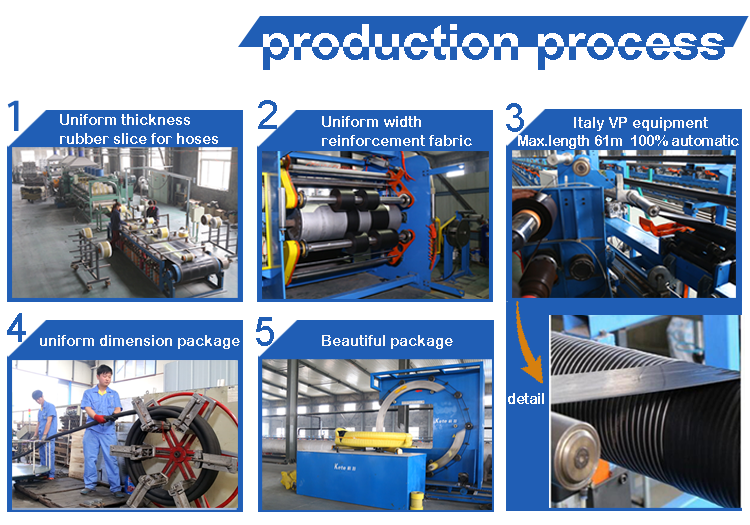 After finishing the concrete pump hose production, we will pack the hose.